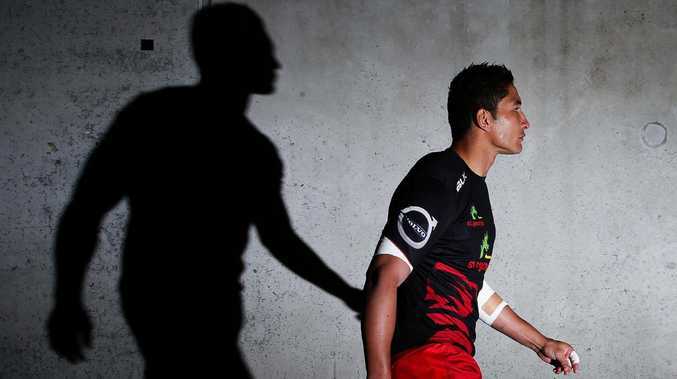 Anthony Fainga'a of the Reds takes the field to warm up at Westpac Stadium. FORMER Wallabies centre Anthony Fainga'a has announced his retirement from all rugby and the scary extent of his concussion trauma. The 32-year-old, who played 23 Tests for Australia, spoke on Wednesday after making the decision and shared some scary stories regarding his multiple brain injuries. "I'm probably only one more head knock away from being a vegetable or not being able to play with my kids," Fainga'a said. "After a couple of really big head knocks, I had to make a big decision. "In 2016, my twin brother (fellow former Wallaby Saia) got married and at the altar, I was actually getting held up because of the head knocks. "I received a couple of really big head knocks over my career and I was standing at the altar getting held up, I got walked out by someone. "I got a few head knocks last year and after all these head knocks I had to make a decision, make a choice about what I wanted to do with my future. Rugby playing twins Anthony and Saia Fainga’a. "I love the rugby game so much but I needed to look after my mental health." 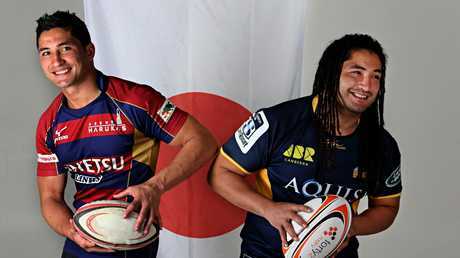 Fainga'a played for the Brumbies in 2007-08 before racking up 90 games for the Reds between 2009-16. He has most recently been playing in Japan for the Kintetsu Liners but eventually decided the risks of playing rugby outweighed the rewards. "When I would speak it out loud, it was an easy decision but when I was thinking about it, it was like, how hard is this, I love the game and I've got offers to keep going and I should play still," Fainga'a said, adding that he had talked retirement options over with brothers Saia and fellow pro Colby, now playing for Connacht. Sekope Kepu and Anthony Fainga’a celebrate winning the Tri Nations in 2011. "But I told them and they were so happy for me. "My message would be it's never too early, it's never too late to finish up. "Everyone wants to keep playing, everyone loves rugby but it only takes that one head knock. "Especially for younger players, they need to make the hard decision. "The easy decision is to keep playing, the hard choice is to say I'm going to give this up and go and do something else."